Real Madrid fans were shocked after the final whistle in Kiev. 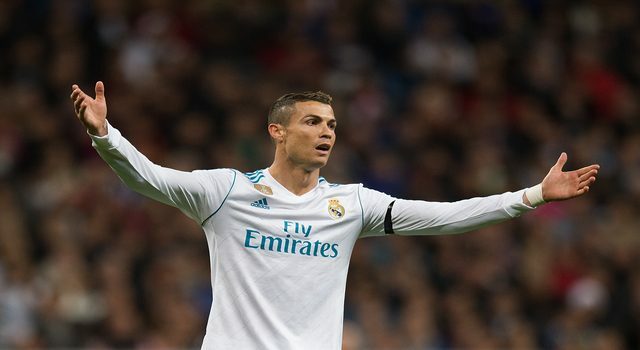 Los Blancos had won the 13th Champions League title, the third European silverware in a row, but Cristiano Ronaldo decided to be protagonist by announcing his departure from the Spanish giant: “It was very nice to be in Madrid”, the Portuguese player told BeinSports. However, the supporters showed respect and love in the celebration party around Madrid streets and Santiago Bernabéu stadium. CR7 words caused an earthquake in the club because they were both unexpected and wrong, especially because of the timing. The Portuguese stole the protagonism to Gareth Bale, who was named MVP, and to his teammates, able to lift their third trophy in a row. Florentino Pérez didn’t want to put the focus on Cristiano Ronaldo: “I don’t speak about any player, Everyone is happy here, you just have to see them playing”, the president commented. “The club is the most important thing here. Today we’re celebrating this Champions League. I don’t want to speak about it. People always speak and never happens anything”, Pérez said to Atresmedia, the TV with the Champions League broadcasting rights in Spain. And the president was right, because this wasn’t the first time Cristiano Ronaldo said something similar. Actually, one year ago, when he was playing with Portugal, the star commented that he wasn’t sure to continue at the club. Finally, never happened. Cristiano Ronaldo wants a pay rise. Right now, Lionel Messi and Neymar are receiving much more money from their clubs and the Portuguese striker thinks that this is unfair. Especially, when CR7 has won four Champions League titles in only five years, receiving also the last two Ballon D`Or awards. “In the next few days I will give an answer to the fans, who have always been by my side”, said the player. And the supporters were again besides him in the celebration of the title on Sunday. 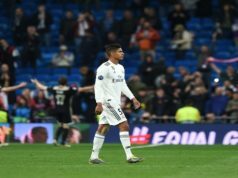 The streets of Madrid were packed by Real Madrid fans who cheered his star despite the bad timing chose to ask for a pay rise. During the show at Santiago Bernabéu stadium, the players were entering the pitch one by one, called by the speaker. When Cristiano Ronaldo showed up, the supporters only cheered him and the star kissed twice the Real Madrid badge. After this, the teammates started shouting “Cristiano, stay here” and the whole stadium sang along. After some disagreements in the past, it’s pretty clear that Real Madrid supporters love their star. It would be really difficult to picture Cristiano Ronaldo playing for another team in September. Now Florentino Pérez is forced to sit down and negotiate with Cristiano Ronaldo and Jorge Mendes. Real Madrid needs Cristiano and Ronaldo also has to stay in the Spanish capital if he wants to continue winning Ballon D`Ors and trophies.